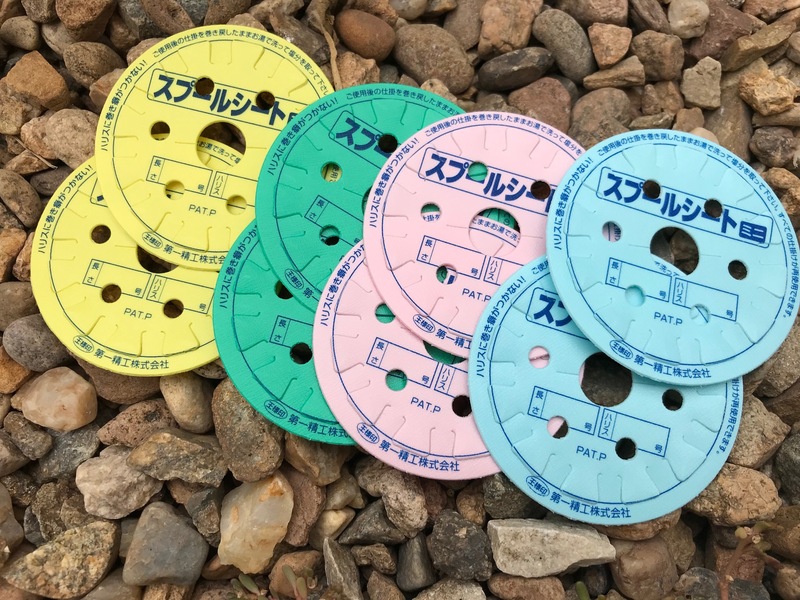 I recently found these tenkara line cards during my weekly scouring of eBay for unique tenkara gear and thought they looked interesting, so I ordered a few (well … OK … eight). 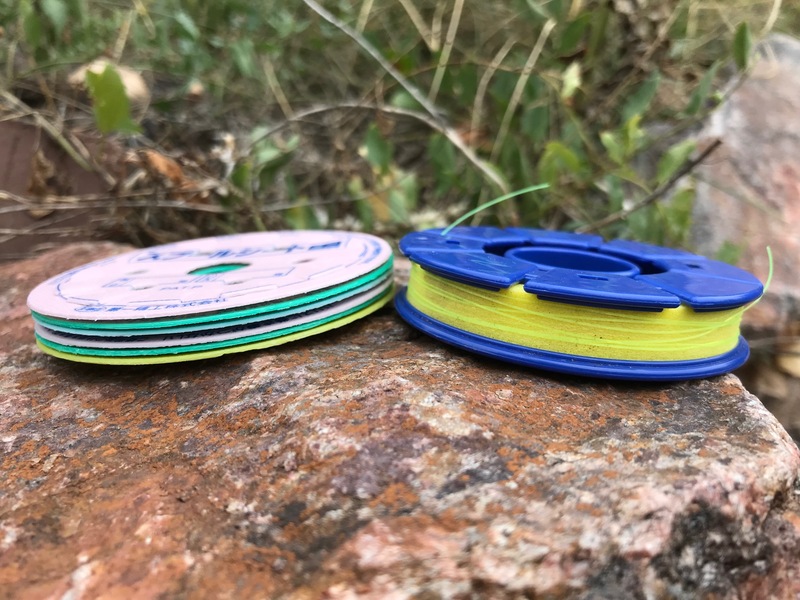 For those of you not familiar with line cards, they’re an alternative to using the popular plastic line spools and are nothing more than a piece of thin plastic with notches cut into them to hold your line. If you look around Facebook enough, you’ll see plenty of DIY ideas to make them yourself. Some are made out of cardboard (which seems like not the best material since they might fall apart if they get wet) but you could also cut them out of any thin material. I bought these because they were cheap (about 80 cents each) and seemed to be made of a very durable plastic. 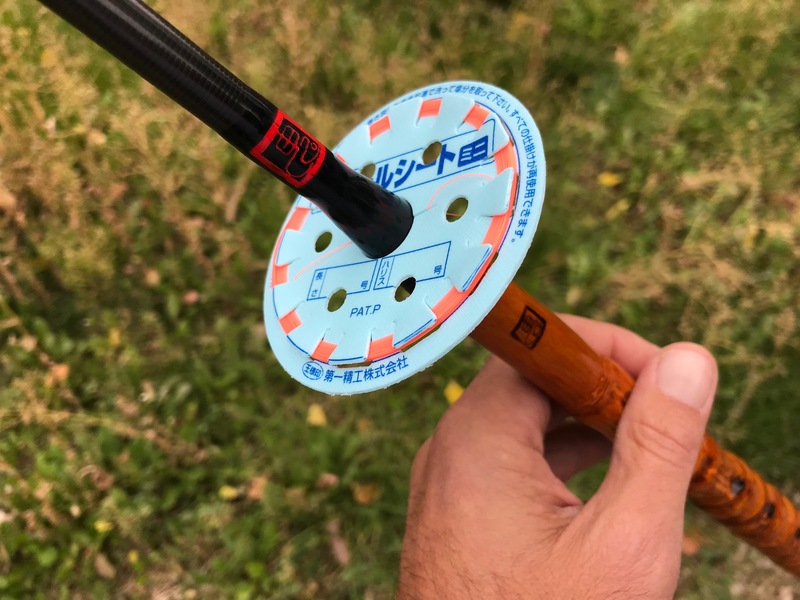 They’re 7.5 cm in diameter and there’s a hole in the center to stow on a tenkara rod just like most commercially available spools, but my intention is not to use them this way. For one thing, they’re not as ergonomic to wind and unwind like the Meiho blue spools. Instead, I plan on using them just for carrying extra line in different sizes in the rare cases I want to switch diameters or the line I’m fishing is damaged. 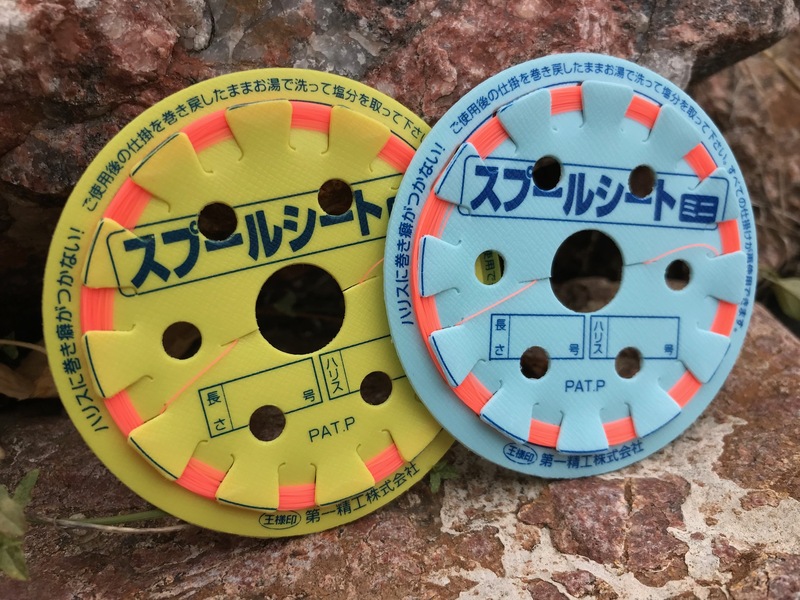 So I’ll use these more for backup lines and still use my Tenkara USA Meiho spools and Raja Leica spools as my “working” spools on the stream. The appeal for me is how thin they are. 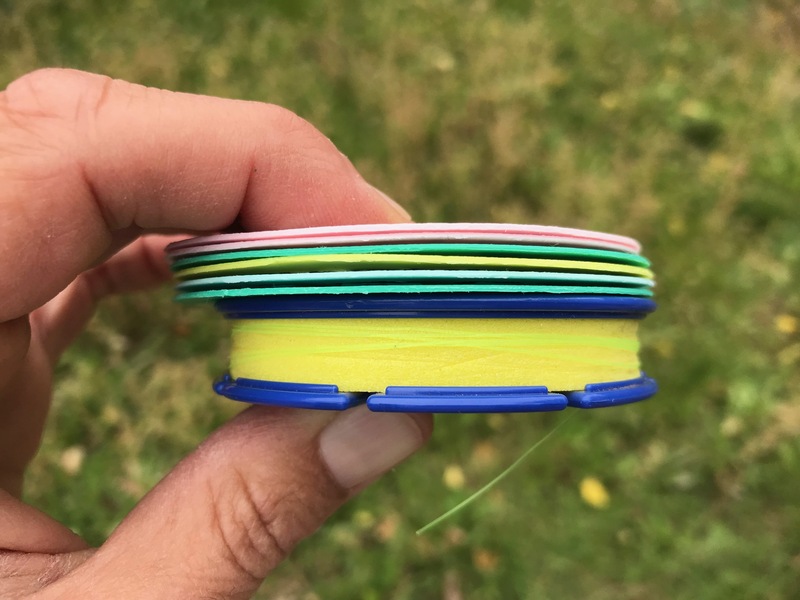 A stack of 6 is shorter than just one Meiho spool or many of the spools level lines come on, meaning I can carry a lot more line in my chest pack for a lot less bulk (and weight). Plus, the plastic takes a Sharpie well so they can easily be marked with the line size and/or length. If you wanted to use these to create your own line system, they’re also color coded, so you could designate a color for each different type of line for easy identification. I’m not sure about the general availability of these line cards. Like many things on eBay, they can be there one day and gone the next. But I just learned they’re available through Dragontail Tenkara so you can reliably get them there. What is your experience with line cards? Do you use them? Do you make them yourself? Wow I really like this, I use a chest pack and with extra line on standard spools it get overfull really fast. I purchased a set from Dragontail Tenkara. Like you, I thought the size and design would allow me to carry several lines astream. Being new to tenkara I want to experiment with different lines so I can find what is best suited for my fishing needs. Thank you, Jason, good luck !